1)FOLLOW @hogtownlive ON INSTAGRAM AND TWITTER. TICKETS AVAILABLE ON WEDNESDAY AND SATURDAY AFTERNOON. Very excited that we have almost completed casting the workshop of “Hogtown Experience”. Twenty five actors , 3 fantastic stage management folks and a Jazz ensemble that will leave you clambering for more. 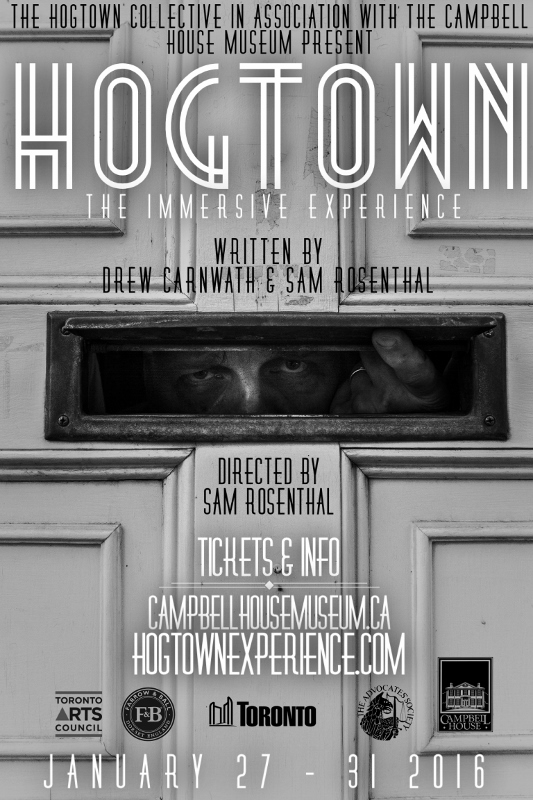 Hogtown is a 1920’s site specific experience that I am directing at The Campbell House in Jan.
Look out Toronto! The landscape of theatre in the downtown core is about to explode with the sounds of the HOG. Visit us on social media to stay up to date with the Hogtown Experience. If you like jazzy loungy music, check out my album, "Pickpockets and Loose Women" Here. Thanks for stopping by. This is still a work in progress!